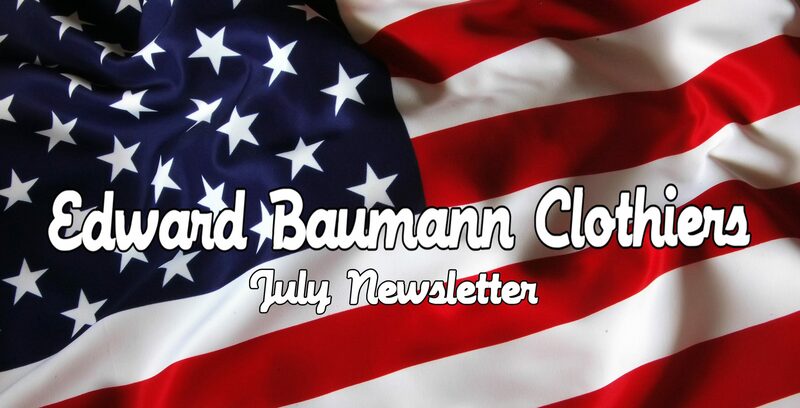 Edward Baumann Clothiers Custom basics and rules! The following points about custom tailoring are not meant for all men. They’re for the gentleman who can truly appreciate the elegance of a custom suit as well as the luxury experience that is true to custom clothing. Custom clothing is an investment and not for everyone. But for those gentlemen ready to represent themselves in their best image, these guidelines will prove priceless on your quest towards a luxury custom lifestyle. You’ve finally decided to get into custom. You want to ensure you’re getting what you pay for, both in quality and experience. You may ask… what should I pay for custom? What craftsmanship goes into creating custom-made garments? How long will it take to make? Reality is, most gentlemen don’t know the finer points of custom clothing. But read on and follow our lead then you’ll be a gentleman in the know, capable of buying custom clothing with confidence and without hesitation. The tailoring process is integral to the “make” of a custom suit, but a garment is only as good as the fabric it’s made from. The fabric, and trimmings used to create your suit, will determine the quality and feel, and ultimately the way your suit wears over time. Extraordinary luxurious cloths will produce beautiful suits, but heavier fabrics made of a three and four harness construction also have their important place in a custom wardrobe. A heavier fabric may lack the super soft feel but it offers durability. If you travel often, whether for business or pleasure, you will need some suits to be dependable while still looking sharp. Don’t dwell too long on thread count—luxury custom doesn’t always translate to durability, and vice versa. 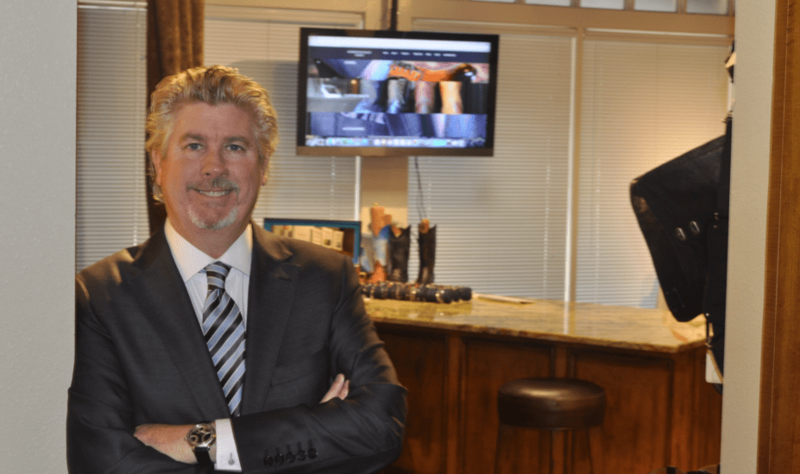 The creation of a custom suit is “rocket” science! Most fine tailoring houses cut their fabrics from a paper pattern in a similar fashion, but it’s how they interpret your body type and put the suit together that makes the difference, it’s about your “pattern”. Some clothiers prefer to cut their suits roomier, while others will cut closer to your body measures— nevertheless, neither is taking into account your natural style and body type. It’s important to understand different tailoring philosophies, and more importantly that you find someone you feel comfortable with, someone who listens to you and understands your style. The relationship with your clothier can be as personal as it is with your doctor—so find that person who really hears you and can translate your wishes into clothing that represent YOU! 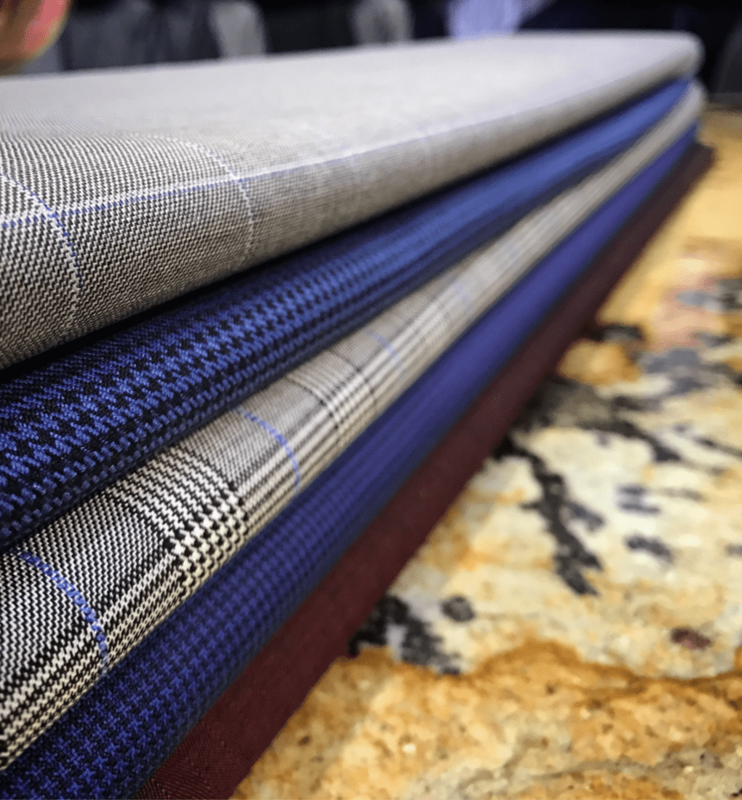 You’ve arrived and now you’re ready for your first custom suit… When you come to Edward Baumann Clothiers in Addison, Texas, here is what the process will look like. You should initially expect few fittings. During your initial consultation visit, we will talk a lot about your style, your profession, your life needs, and your personal brand. Then we’ll take about 26 detailed measurements, and we will pay attention to every detail when it comes to your body and shape, such as shoulder slopes, and any other specific needs. Additional adjustments are made to your pattern, paying particular attention to the garment balance. This will help to ensure that your new garments fit not only your body, but your style as well. First-time clients can figure that from the first appointment to the wardrobe being delivered to you will take somewhere between 5 to 6 weeks on average. We have spent decades mastering the art of custom, so that we can guide you in how to dress well. Listen to our advice, and know that no question you ask will be deemed foolish. Questions you ask will help create a more clear picture of your personal style. It is those questions that allow us to build a mutual trust, we give you recommendations with the aim of creating a long and lasting relationship! Most gentlemen should begin with the basics: simple, versatile garments such as solid gray and blue suits or some simple patterns and stripes. This would allow you to wear them multiple times without any concern that you’ll hear someone say, “I remember that suit from the other day”, all you need is to accessorize differently with different ties or pocket squares, and you’ll get a new look every time! After you’ve established a solid rotation of your custom wardrobe basic colors, then you’ll be ready to expand into bolder patterns, colors, and seasonal fabrics! A new custom suit will make you look like the best version of you, and we’ll make sure of that. We have realistic expectations and we ask that you have realistic expectations as well for your new garments: for instance, a suit will crease and wrinkle as you move around throughout the day – that is reality, so relax, the wrinkles will relax as well and go away as you continue to move. 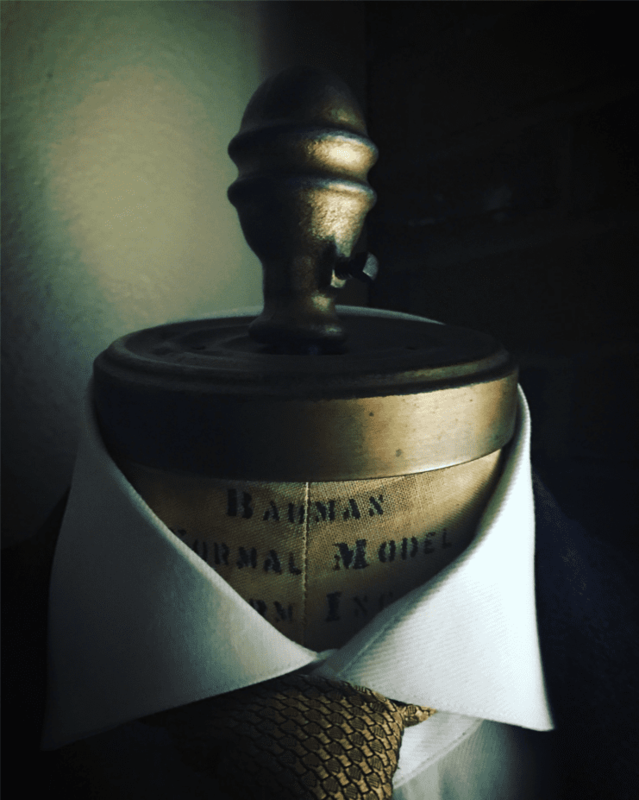 At Edward Baumann Clothiers, we don’t create suits for models that just stand still—we make clothing for real gentlemen. Press for crease, steam only when needed or obvious and mainly the back of the garments. Dry clean your suits and sport coats maybe once a season, if there’s a spot, tell your dry cleaner to take care of the spot versus dry cleaning the entire suit. Chemicals used in the dry cleaning process can cause fabric to deteriorate, losing their luster over time, it actually kills a layer one dry cleaning at a time! These are fine fabrics, give it a little hanging space in the closet to breath, your suits will hang out and after just a day or two be ready to wear once again. 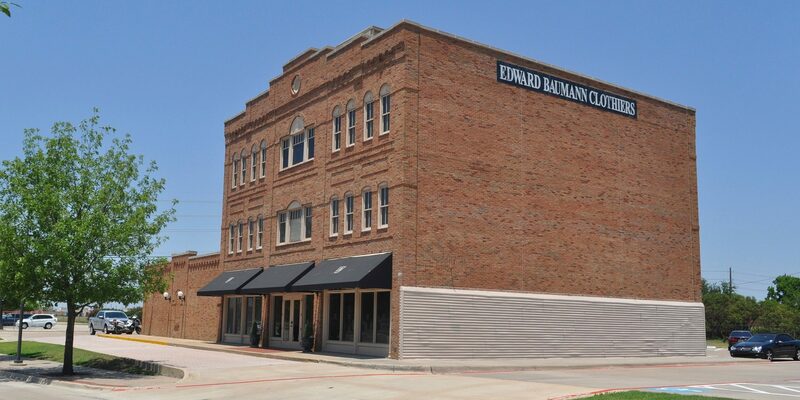 At Edward Baumann Clothiers, our client relationships is the key ingredient of our success and is core value of everything that we do. They’ve served the United States faithfully, our soldiers gave all and continue to do so every day! 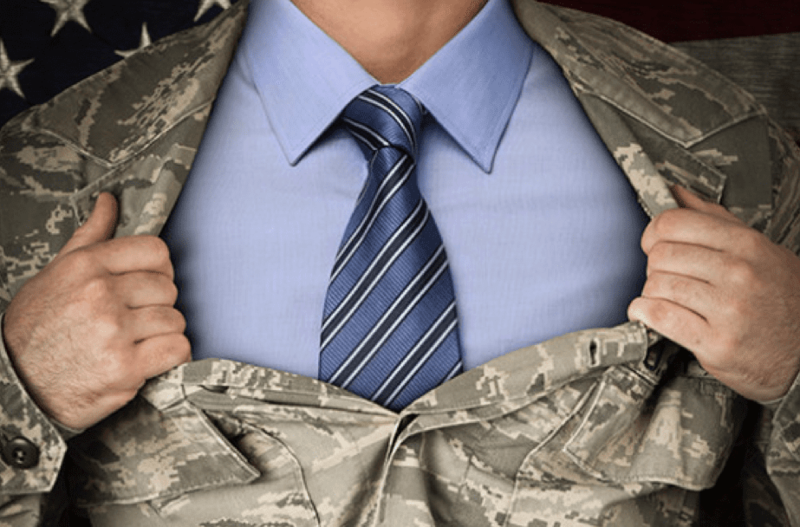 The skills they’ve learned and applied while serving in our country’s military are still just as applicable in a civilian career, and Edward Baumann Clothiers is here to help them along the way with our expertise in presenting them in the best professional image as they enter another exciting career. 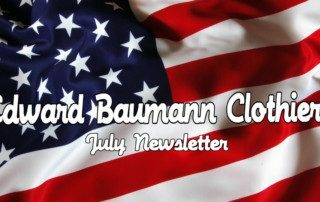 Bob Baumann, President and Founder, believes in honoring the sacrifice of the good men and women of the military. He always feels a passion and dedication to making a difference in the lives of brave soldiers, especially when it comes to our expertise, changing the lives of brave men serving our country and protecting its freedom. “Suits of Honor” is a direct result of Bob’s vision of enriching lives of gentlemen, and our mission is to put at least an average of 52 military men in 52 suits per year, to support and encourage their transition from the military life into their civilian life, and their new career! Would like to be a part of our “Suits of Honor” ? Ready to support a soldier and help him better engage his new civilian life? Please contact us at melissap@edwardbaumann.com for information on how you can be an important part of this great initiative.